I am currently making my way down the coast of France from the UK towards Spain and I have been experiencing lots of problems connecting to the Mains power in France. I have been finding that at many marinas the trip switch on the power unit on the dock keeps tripping - even though I am not using significant power. This is not a problem that I have ever experienced at any UK marinas and I have heard anecdotally that this is a common problem in France and due to the over-sensitivity of the trip switches. Do you have any proposals regarding solutions? Have experienced it many times. Often the power is limited to about 6 amps. I suspect that the power is designed for battery chargers and power tools only and not for the British fascination with tea or AC for other countries. UK shore power is typically 16 amps. In France at best 10 and often 6 amps. Best dealt with using a power limiting, power boosting charger /inverter. Otherwise just plug in one device at a time! 6 amps will not run a typical kettle, though, even by itself. Is it the RCD that is tripping or the circuit breaker? Usually they are seperate devices in the electrical supply box so you should be able to see which has tripped and cut the power. The RCD looks like a larger circuit breaker, but with a small test button. The type of fault that will trigger an RCD is (usually) quite different from the type of fault that will trigger a circuit breaker. Hence the solution is also different. Usually they are seperate devices in the electrical supply box. 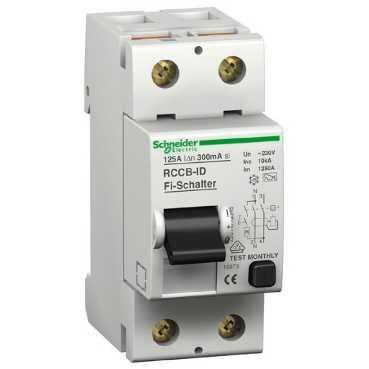 The RCD looks like a larger circuit breaker, but with a small test button. Worth checking, but I've never see an RCD in a French shore power box. Often see reverse polarity and all kinds of funky (i. e. dangerous) stuff though. I very often don't bother with it and just use the generator. Indeed! I've often seen a box of outlets on 6 amps each, with a 10 or even 6 (!) amp master breaker for the whole box! The good news is you are usually only paying 20 euros to stay in such places. Worth checking, but I've never see an RCD in a French shore power box. Thanks for the local knowledge. I have only sailed in France a couple of times. My understanding is that RCD devices are "mandatory" on marine power supplies in the EU, but I don't think the French have a translation for "mandatory" . In the EU I once saw a marina power supply that had wired all its outlets with male socket inside the power supply box I bet that has given a few people a surprise. As a side note, the RCD is an important component in protecting against electrocution. It is a complicated subject, but in simple terms my understanding is that the USA marine electrical standards assume an RCD may not be fitted on the shore supply (or if it is, it may be defective). European boat wiring standards place more emphasis on the role of the RCD (hence the mandatory requirement). On some European boats connecting to a shore supply without an RCD is not a great idea. The boat will have an internal RCD, but the wire from the shore power socket to AC distribution panel is unprotected. It is possible to buy or make up a shore power lead with an RCD placed close to the marina power supply socket. This is worth considering if you are regularly connecting to unprotected power supplies. Alternatively, stay at anchor. Much safer . This is a typical RCD, or more correctly RCCB. Which is an RCD and circuit breaker. Installed, the connections will be hidden. Here is a photo with circuit breakers and an RCD for comparision. An RCCB is sometimes called a "safety switch". Make sure you test an RCD regularly. They do have a reasonable failure rate. But you will also find ordinary household Shuko outlets and no RCD. For example, in the main harbour at Visby! So Shuko to marine connector adapters are mandatory in these waters. And in France. North America does not have them on shore side or boat side. And instead relays on a dc neg to ac ground bond that will trip the high current breaker if ac hot hit touches boat ground. If the boat doesn't have this bond. The boat will go hot and so will water around boat. They are now recommended on boat but only as if 1-2 years ago so 99.5% don't have them. Not an expert in this, indeed very far from, but I would incline towards a reverse polarity problem first. Seems to occur quite often in France and very often in Spain, and can cause all sorts of mysterious problems..
Marinas in many parts of Europe will have either 4,6,10 or 16 amp breakers. Newer marinas will have some 32 amp supplies. Voltages are typically 180 to 220 volts. The limiting factor on many of the older marinas seems to be the size of the in dock cables. That is why you may often see 4 by 6 amp breakers in a pedestal with a main 16 amp rccd unit feeding the lot. Clearly, it is assumed not everyone will try to draw 6 amps at once. Many of the marinas are owned by the local village/commune who have invested in the marina as a tourist attraction and are undercapitalized. They neither want the expense of heavy wiring or the cost of the additional electricity. I have not seen a French marina on the Atlantic coast in the last ten years that has not had rccd's and the correct polarity on sockets. The simplest solution to the problem is to see if your inverter charger has a power share option ( Mastervolt does) and to set yours at the lowest amp draw from the dock. If you attempt to use more than the limit the inverter kicks in to boost the shore power to cover short-term deficits. The biggest power hog seems to be the English man or woman's passion for tea produced using the ubiquitous english 2 kw kettle. Head to one of the French hyper markets such as L'Eclerc and you should find a European 1kw kettle that makes a more dock power friendly cuppa. All good advice. "Power boost" (as Victron call it) is worth its weight in gold when you're dealing with iffy shore power or small generators. 2kW kettle has no place on a boat IMHO. I use 900 watt travel ones. Thanks very much to everyone for your informative, comprehensive and useful posts. I think it is the RCD that is tripping. The problem occurs more frequently when I turn on my 240v sockets; less frequently (but still occasionally) when I simply have my battery charger on, so I guess it is probably as you have suggested that my current draw is just too large for the average French marina's 6 amp system. 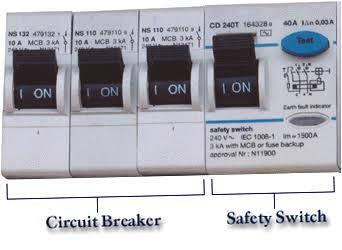 Most RCDs have a circuit breaker incorporated (so they are a RCCB) but the marina usually has a seperate lower value circuit breaker installed. If the RCD trips rather than the seperate circuit breaker it is unlikely to be an over current problem. Rather an imbalance between the Active and Neutral feeds. This is what the RCD responds to. The aim is to prevent electrocution. An imbalance between the current in the active and neutral wires means some current could be traveling through a human. The RCD is designed to trip before the level where this current is likely to be fatal. The problem is this current is very small. Many perfectly normal pieces of AC equipment leak a little bit of current even though they are functioning normally. As equipment ages the level of leakage increases, especially with dirt and carbon accumulation. Thus the RCD can trip when connected to equipment that appears to be working normally. Of course the marina RCD can also be faulty, but if you are getting this problem in several locations it is likely the leakage is something on the boat. Sometimes it is a small amount of leakage through lots of different equipment, but with your sort of problem it is generally one piece that is causing most of the nuisance tripping. The first step is to try and identify where the leak is occurring. The wiring/connection circuit breakers etc between the shore power and the battery charger. The shore power cord itself, or the plugs and sockets are by far the most likely cause of this problem (even though they seem to be working normally). So the first step is to borrow a different shore power cord and also try cleaning all the shore power sockets etc. If this does not fix the problem clean all the AC connections and finally the battery charger itself. A small amount of salt grime can carry enough current to cause a trip.